June 7th -2018 marked a very special moment for Muslims of Vancouver. 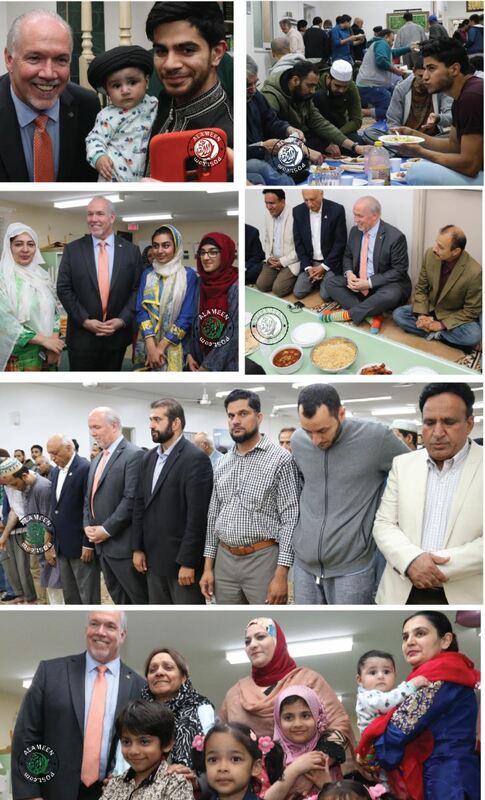 On Thursday for the first time a sitting Premier visited a Mosque for iftar with the Muslim Community in BC. Iftar is a practice of the Prophet Muhammed (PBUH) when muslims break their day long fasting since dawn by eating and drinking at the sunset. 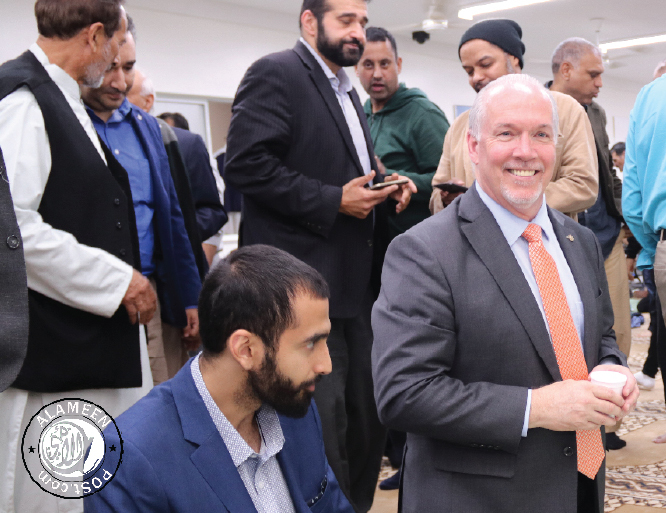 Premier John Horgan was welcomed at the mosque by long time Vancouver residents who were part of the Mosque since the 6o’s like Br. Ihsan Malik and Br. Jamil Chaudhry. Br Shaukat Khan President of Pakistan Canada Association was glad to welcome the premier at the Al-Jamia Masjid. 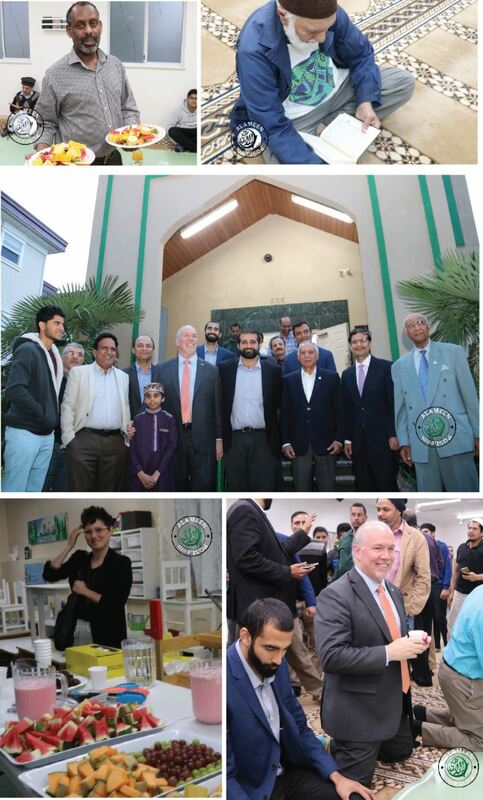 Vancouver City Councillor Andrea Reimer expressed her appreciation of being welcome by the mosque. At the call of Adhan- Muslim call to prayer the Premier joined the congregation by breaking the day long fast with a date and falooda- a milk drink served with Rooh Afza syrup which is a common drink at iftar tables. The Premier also took part in the Maghreb-sunset prayers.